This is one of the more grim places I've visited. Everywhere stank of piss, junk was thrown all over the floor etc. 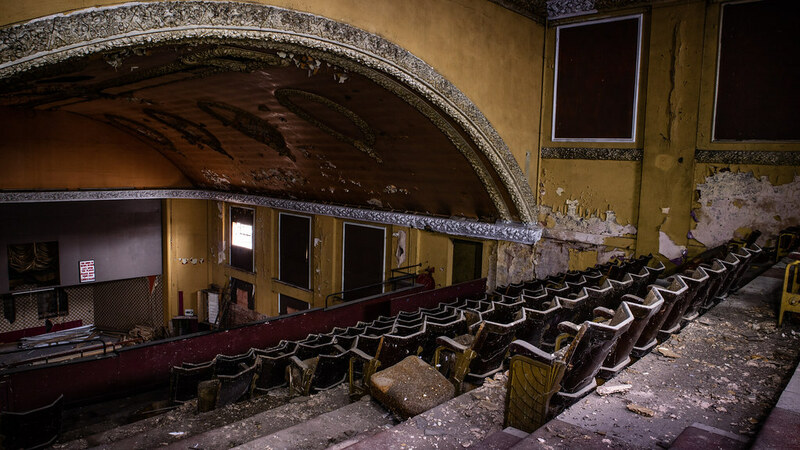 However there are a few worthwhile remnants of former theatre glory that we had to see. Located in the Hockley district in the north of Birmingham. 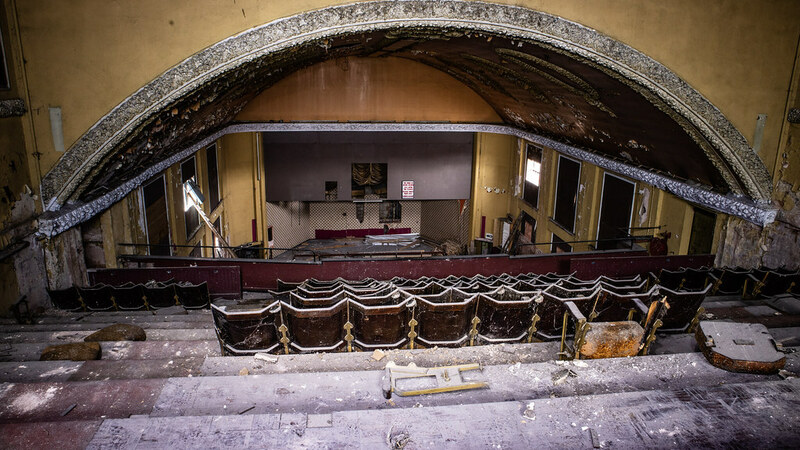 Originally opened on 15th November 1911 as the Hockley Picture House, it had 506 seats. It was re-built and enlarged to the plans of architect L.L. 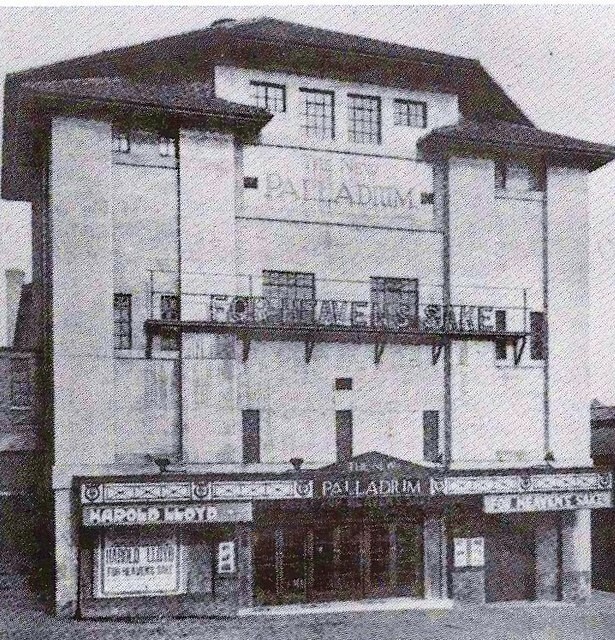 Dussault, re-opening as the New Palladium Cinema on 8th November 1922. The opening film was Isobel Elsom in "The Game of Life". The 3-storey building had a tiled mansard roof on top of its facade. 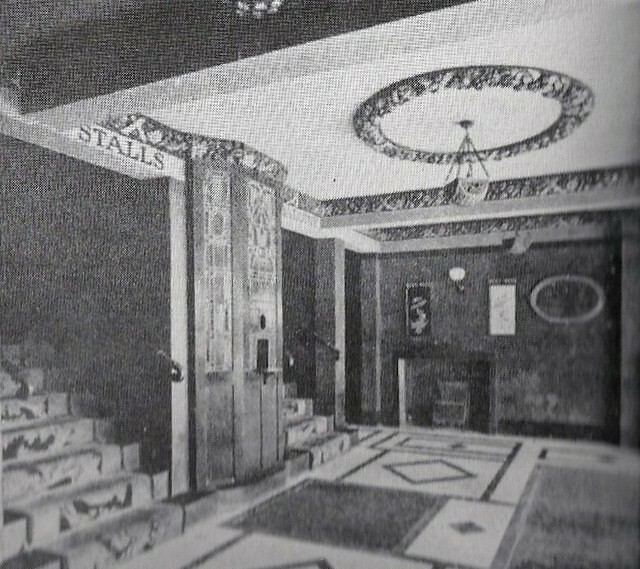 Inside the auditorium, there was an elegant decorative scheme and seating was locating in stalls and circle levels. 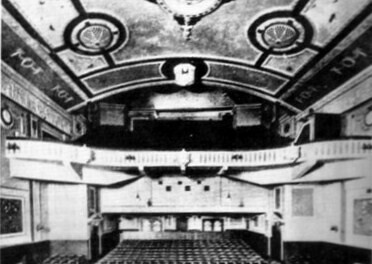 The projection box was located beneath the circle, above the rear stalls seating area. 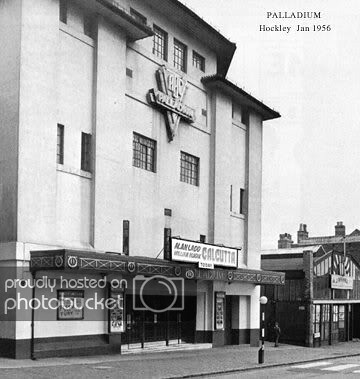 From 22nd October 1936, it was taken over by the Associated British Cinemas(ABC) chain, and was re-named Palladium Cinema. 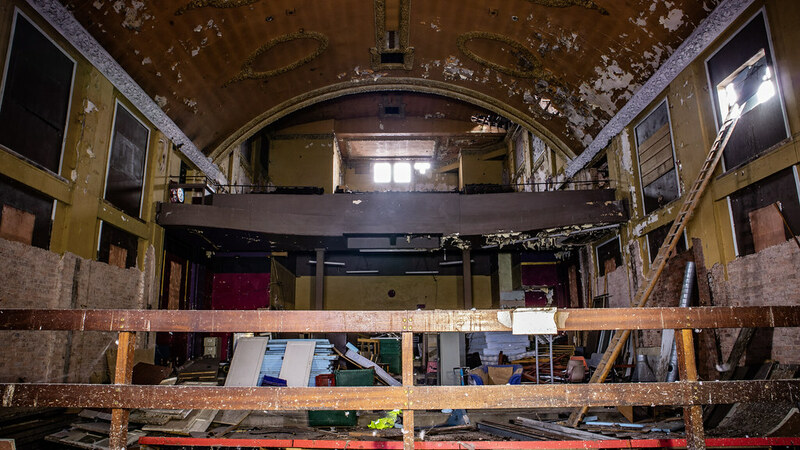 It continued to operate successfully as an inner city neighbourhood cinema for many years. The Palladium Cinema was closed on 13th February 1965 with Gerald Hatray in "The Spy" and Francoise Arnoul in "Daggers Drawn"(A Couteaux Tires). 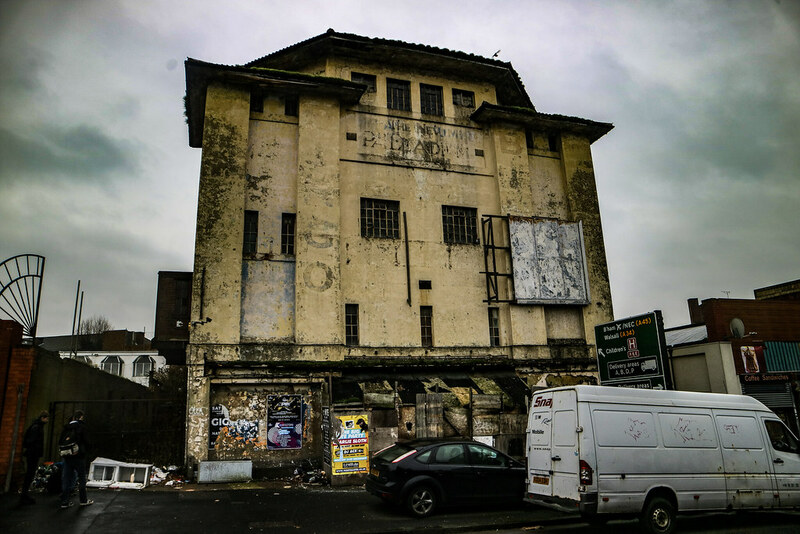 It became a bingo club, which operated until closing in the late-1970’s. 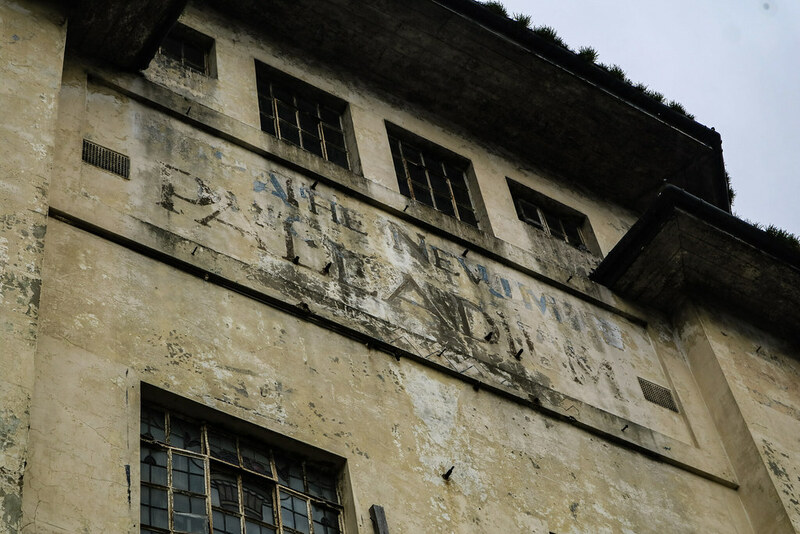 The building then lay empty and unused for many years, and still stands in a deteriorating condition in 2011. 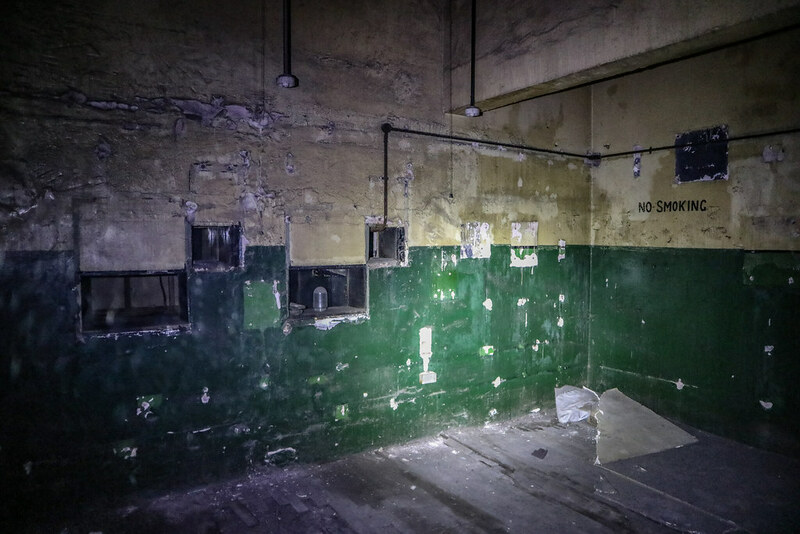 Once inside, we moved through the structure, hopping over death drops and flexing wooden floors. 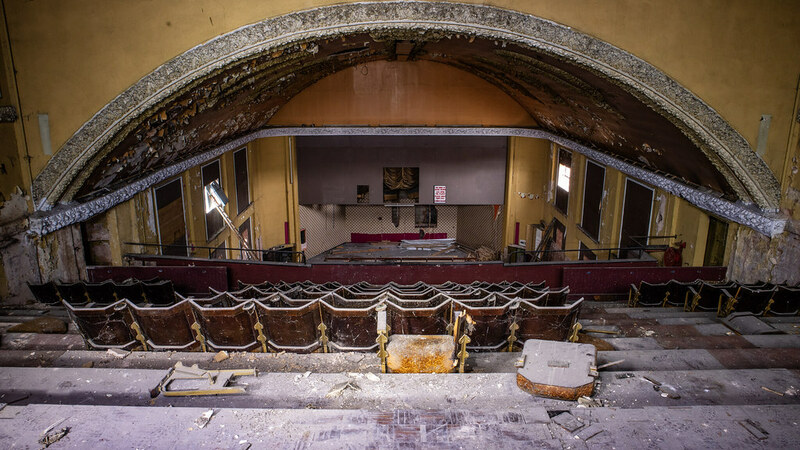 Our main target was to see the old seats on the balcony, which were of a unique design you will no longer see nowadays. What a mess it's in now compared with the before photos, but it's still photogenic. Good to see this place again, I visited a couple of times back in 2011. It doesn't look too much different now although I see they started ripping the upper level seating out which is a shame as it was completely untouched a few years back.